Most of us have complaints that we GET is much less than what we Work towards. So here Wishing you that You get more than You Work, And also get for additional work you have done in past years. 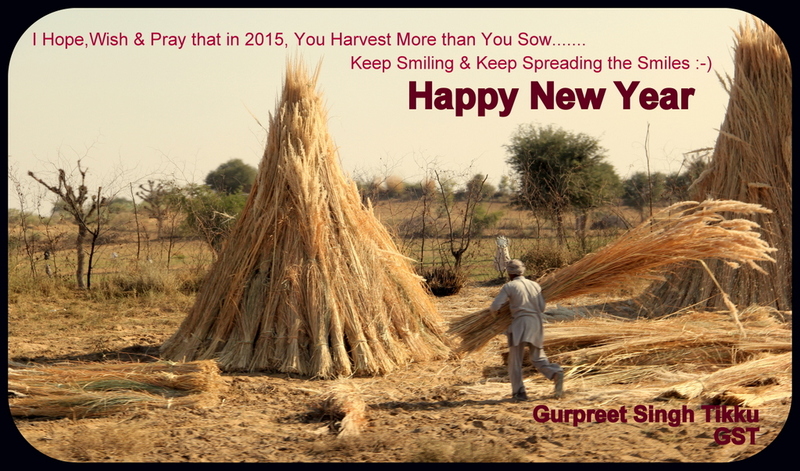 I hope, Wish and Pray that in 2015, You HARVEST More than you sow.